One of the most beautiful states of the country, Kerala has just woke-up from the deadliest nightmare like a flood that killed over 350 people were killed, many lost their family members and house and many more. However, they were blessed as a god in an avatar of Army, Navy, fishermen etc came to save them when they were left hopeless. However, other than the on-duty officers' an off-duty army major was also the one who saved over 100 flood victims in Kerala. 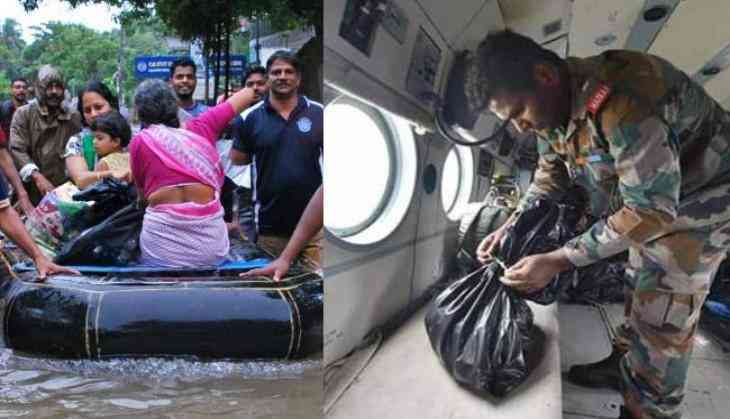 It is well said, an army officer is never off-duty and it was well proved by Major Hemant Raj from the Indian Army's 28 Madras Sapth Shakti Command who saved over 100 of people stuck in the Kerala flood. Major Raj was on leave and though he came forward to save several of victims and made us proud of him. Major Raj's visuals have gone viral where he is shown organising tonnes of relief material in Chengannur, Kerala. He mobilised a team of retired defence personnel and local fishermen to shift hundreds of marooned people to safety, learning about the well-being of his wife and parents much later. It all began on August 18, the first day of what would have been his first day of leave. "I was quite excited to go to my hometown in Kerala to attend Onam. My leave was sanctioned from Aug 18 and I had my flight scheduled for Kochi from Delhi," the officer told IANS. "I got to know that my family members were in relief camps and my village was completely flooded. I was informed that my flight to Kochi was cancelled," said Major Raj. "I requested IndiGo officials to accommodate me in their flight to Thiruvananthapuram. I told them that I was keen to serve my people. The officials respected my uniform. I reached the state capital around 2 am on Aug 19," he said. 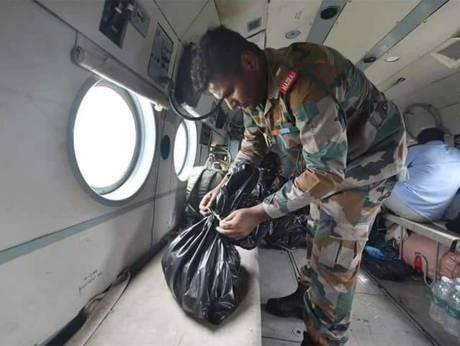 He contacted Air Force officials in Thiruvananthapuram and requested them to airdrop him at Chengannur where he found the situation pitiable: roads were flooded and there was no way he could have reached the interiors. "Even the state government was unaware Chengannur's drowning," said Major Raj. Near the helipad was a college where a relief camp had come up. "I came to know that my family members were also in a relief camp," he said. Mobile phones were not working. "I met a few ex-servicemen and students. We set up our ''command centre'' in Chengannur," says the Major. "We came in contact with 13 Garhwal Rifles rescue units which faced language problem. We offered them one local retired defence person each for their units. Local fishermen, too, came forward to help," says Major Raj. "From these visuals, my wife, Theertha, came to know where I was and what I was doing." "Soon Theertha contacted me and told me that she, our son Ayan and my parents were in Kottayam, another flooded town," said the officer. "I will be meeting them soon," he said. 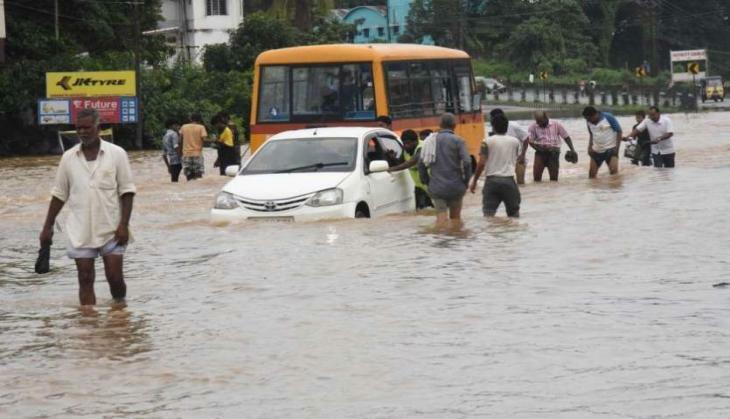 "The flood situation is completely under control as of now but there are around thousands of people in rescue camps. Roads are badly damaged and connectivity is difficult," he said. "I have been helping people since the first day of my leave, Aug 18. The damage is huge, but I am confident that we shall get over it," he said.